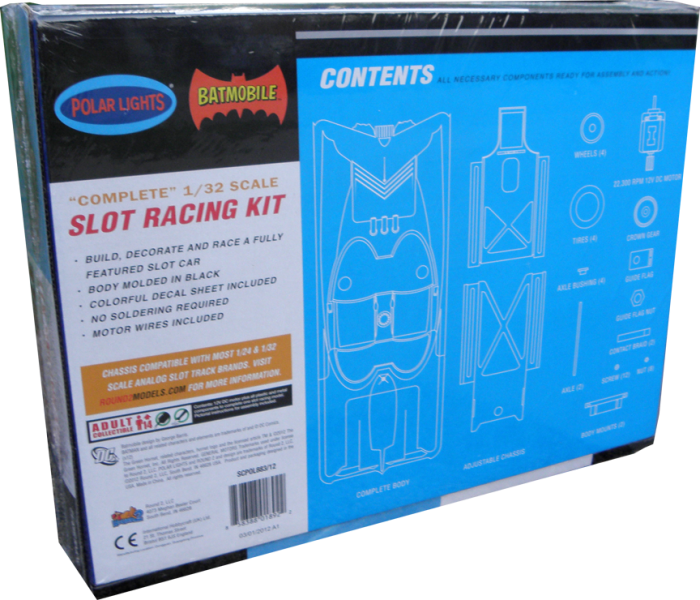 Polar Lights was kind enough to send us one of their new 1:32 1966 Batmobile slot cars to give away to one lucky PMB! member. How can you win it? Simple. Friend us up on Facebook and enter our sweepstakes there launching this weekend. No fees. Nothing else required. 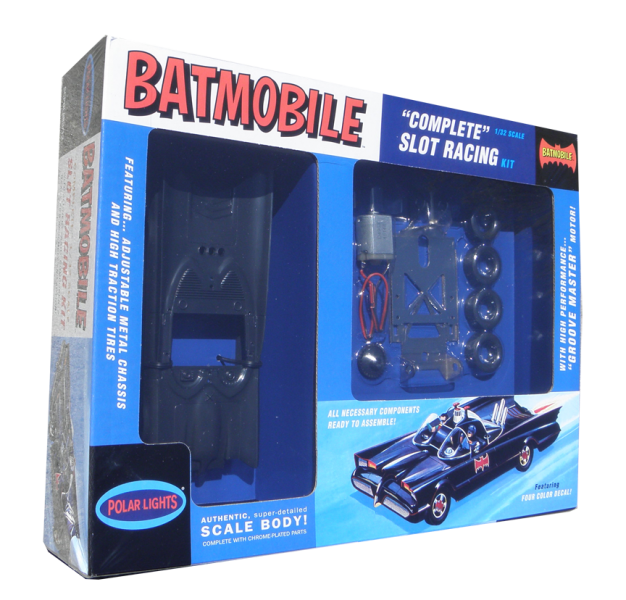 12 volt DC, 22,300 RPM “GROOVE-MASTER™” in-line motor that will easily satisfy all newcomers to the hobby as well as serious veteran competitors. 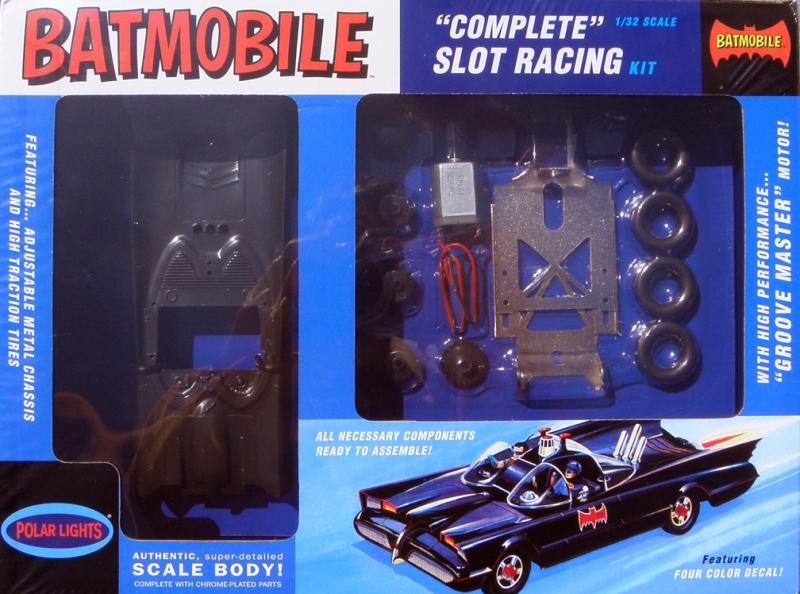 AMT’s SLOT STARS kits come in irresistible vintage-styled window box packaging that harkens back to the days of the original slot car craze! Did they put any kind of interior/figures in this one? re all included. I think you’d need some strong glue for both figures and all the accents. More photos later. 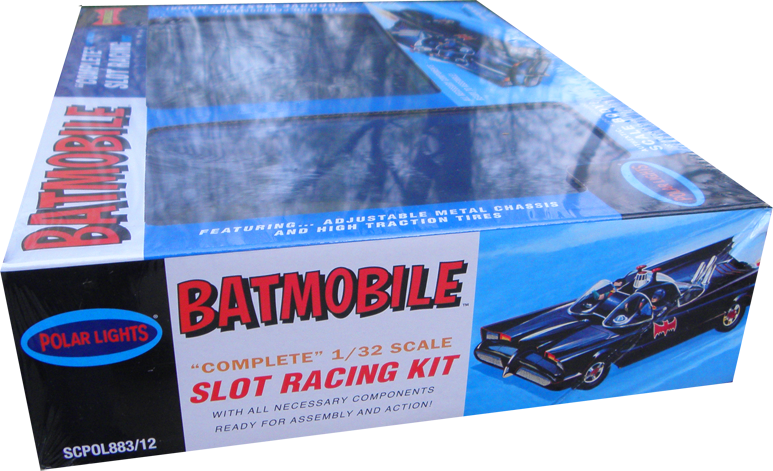 I contacted you a while back looking for spare hot wheels antlers for the 1/18 Batmobile. Any chance you have any? Thanks.